TradeGecko Mobile lets you manage your products, customers and orders from anywhere. 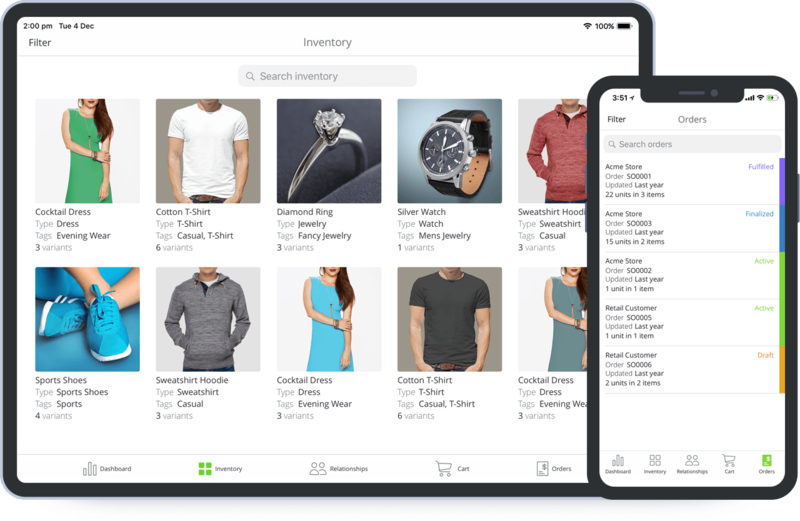 Your entire product catalog in your pocket. Update product photos with your device camera. Create, edit, and manage sales orders, whether you’re at a trade show or meeting with a customer. All your CRM data in easy reach. Capture new leads and contact customers or suppliers. 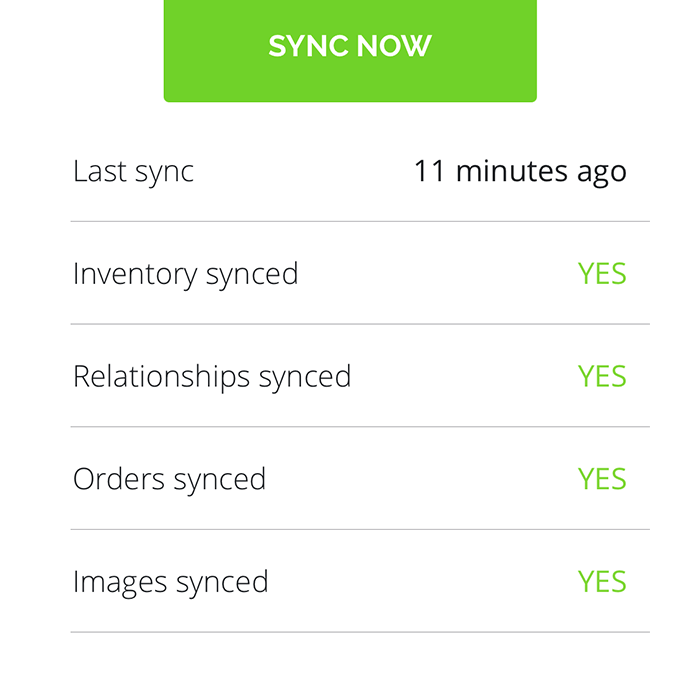 Create and edit orders when offline and sync back with TradeGecko when online. Show off high quality images of your products and keep track of stock. 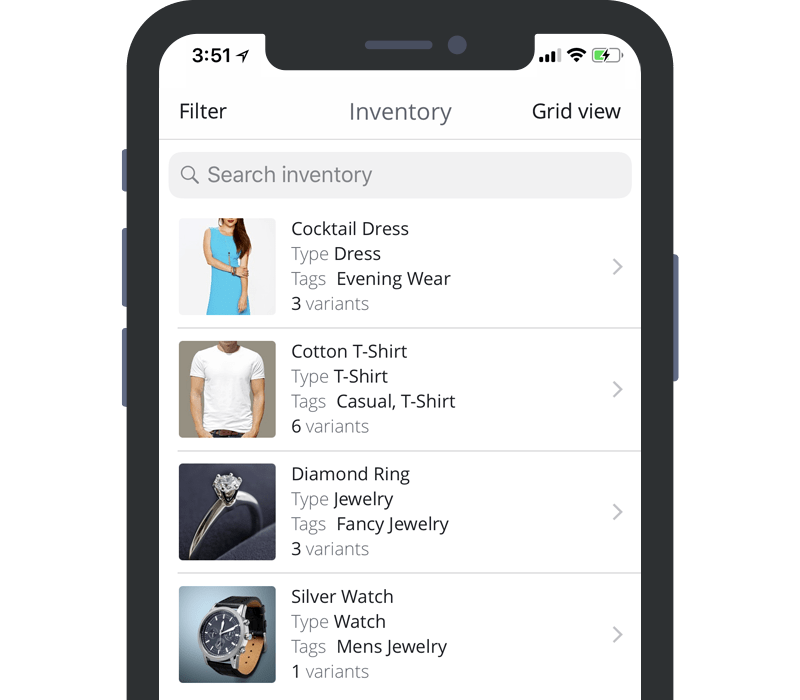 Scan barcodes and easily search or filter your catalog. Use the camera to take new product photos that will automatically update across your sales channels. 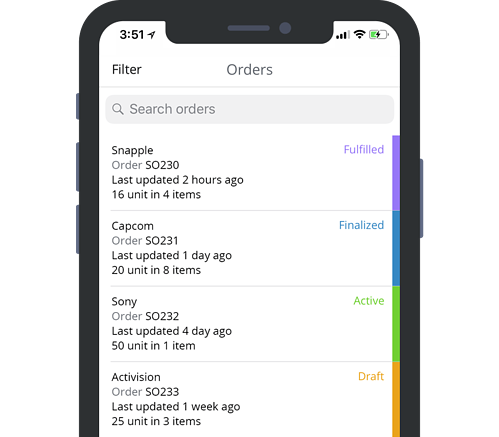 It only takes a few touches to create new sales orders, edit existing ones, and check order status. You can even use your Apple Watch to review and keep track of orders. Carry your TradeGecko CRM with you and capture new leads. 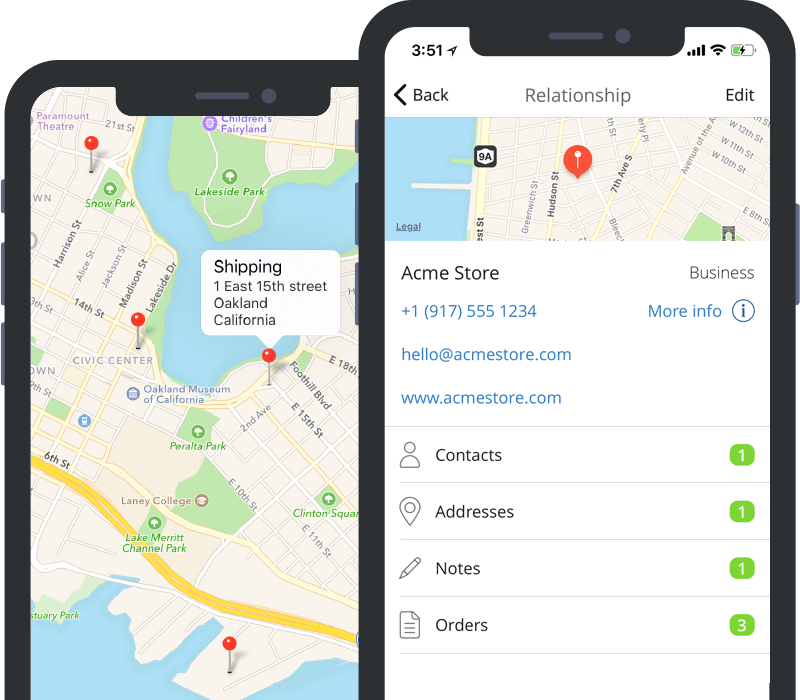 Email, call or message customers and suppliers directly from the app, and view maps for company addresses. 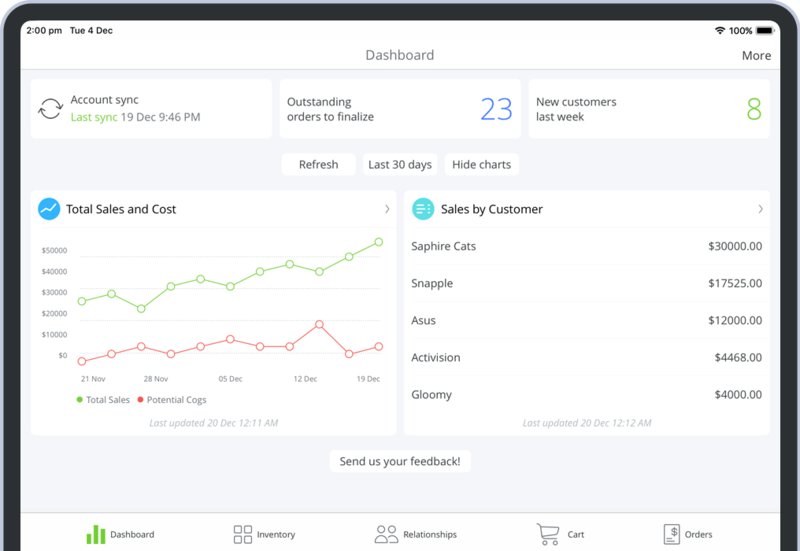 View company data on the Dashboard to keep track of sales and customer metrics as well as action items. It only takes a few touches to check inventory levels, stock locations and price lists. No internet connection? No problem. TradeGecko Mobile will sync your account data so you can use all of the features in the app when offline. When you’re online again all changes will be instantly uploaded. 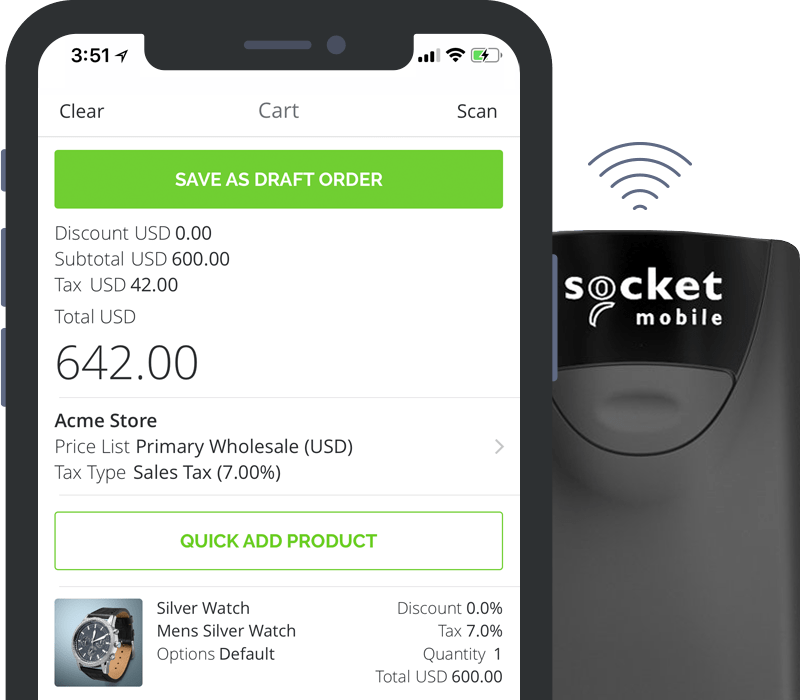 Use the Socket Mobile range of bluetooth scanners to easily scan barcodes and add products to a new order. Also use the camera to scan product barcodes in just a few touches.